SAN FRANCISCO (CN) — California-grown strawberries pull in $2.5 billion a year, and attorneys for two former UC Davis scientists sparred with a federal judge Monday over whether the scientists or the nation’s top agricultural research school own the intellectual property rights to some wildly popular cultivars. The debate came at a pretrial conference Monday, after U.S. District Judge Vince Chhabria issued an order on the university’s motions to exclude evidence at trial that it destroyed 400 of the plants. Research scientists Douglas Shaw and Kirk Larson claim the school violated their intellectual property rights to the plants when it discarded them after the professors retired. They want evidence of the destruction presented to a jury. Shaw and Larson ran UC Davis’s strawberry breeding program for 22 years until they retired in 2014, and formed California Berry Cultivars (CBC) to sell their strawberries commercially. CBC is also a defendant. CBC, with Shaw and Larson at the helm, expected to continue developing the UC Davis varieties using the same germplasm — stock strains of valuable genes — that Shaw and Larson developed at the university. The scientists sued the University of California in May 2016, in Alameda County Court last May for access to them. The UC regents had the case removed to federal court, and Shaw and Larson were added as defendants. UC Davis top-ranked agriculture school has developed 56 varieties of strawberries since 1945. More than 80 percent of the strawberries grown in North America and more than 60 percent worldwide were developed at the school. California strawberries rake in $2.5 billion a year, making them the state’s fifth most valuable crop. The state produces more than 80 percent of the strawberries grown in the country, and its yields per acre are more than four times greater than strawberries grown elsewhere, according to industry and government studies. Shaw and Larson assigned their strawberry plant rights to CBC in 2016 after the university denied the company access to them. However, they had signed employment and patent contracts with the university, agreeing to disclose to it any plants they developed there that had the potential to be patented, and to assign their rights to the university for any of the plants it deemed worth patenting. The school says that based on those contracts, it owns the varieties Shaw and Larson invented. 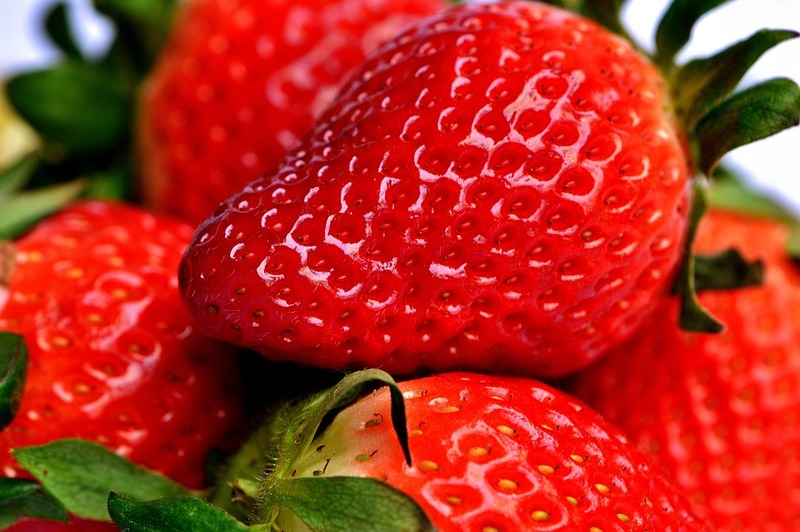 Those varieties consist of two sets of plants: the “core strawberry germplasm,” which Shaw identified in 2013 as having “considerable commercial potential,” and the “transition cultivars,” which Shaw identified as “important” for breeding. Chhabria expressed doubt in his Monday order that Shaw and Larson possess intellectual property rights to the transition cultivars. He appeared unpersuaded by additional arguments at the Monday afternoon conference, including the argument that he, Chhabria, had made the distinction between intellectual and tangible property rights, and not Shaw and Larson. Chhabria ruled on summary judgment in April that UC Davis owns the tangible property rights to both the core strawberry germplasm and the transition cultivars in its possession, but that CBC owns the intellectual property rights to the core strawberry germplasm. However, Chhabria did not address who owns the intellectual property rights to the transition cultivars. “I may be wrong on that, but I’m not revisiting it,” he said, referring to his ruling on summary judgment. Shaw and Larson say they also own the intellectual property rights to the transition cultivars, and that the university violated those rights when it destroyed 400 of their cultivars after they retired in 2014. The university claims that strawberry breeders — including Shaw, while he was at UC Davis — routinely discard plants that fail to show commercial promise. Trial is set for May 15. A bench trial on equitable claims and injunctive relief is tentatively set for the week of May 29. A damages trial before a separate jury will be held on an as-yet unspecified date. The university is represented by Rachel Krevans with Morrison & Foerster in San Francisco, the defendants by Gregory Lippetz with Jones Day in Palo Alto.